Since many vacationers collect cups and glasses from their trips, Jerry Leigh stocks a wide variety of acrylic cups, glass cups and Florida namedrop cups. They’re made to serve a variety of different drink sizes and cute enough to take to work or use at home. Plus, they feature Disney favorites like Mickey Mouse, Minnie Mouse, Tinker Bell, Goofy and more. 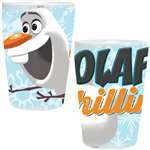 To find wholesale collector glasses and cups your customers will love, browse our full selection above.